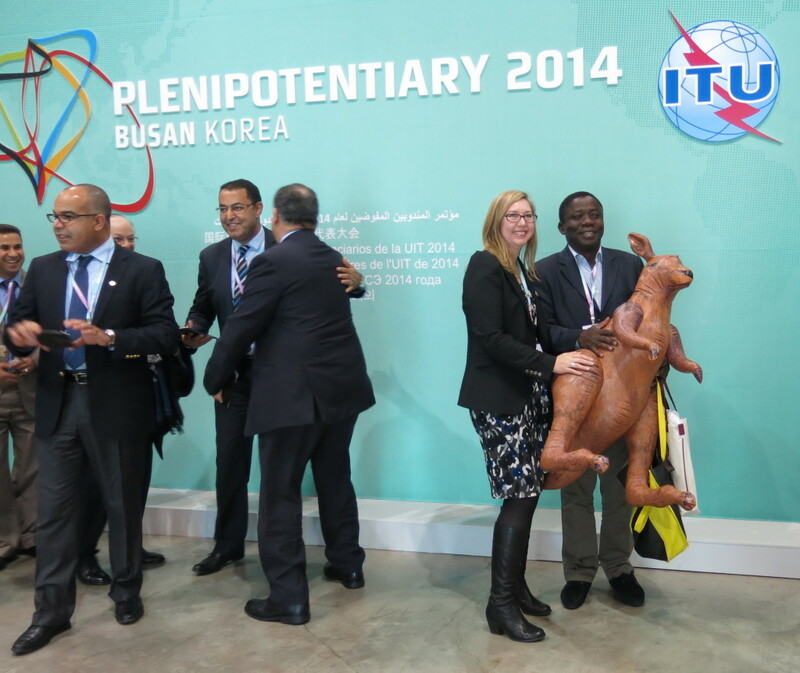 DiploRoo first made its appearance at ITU Council 2014 in May and was an instant celebrity. Other Member States spent thousands on their election campaigns during Council. 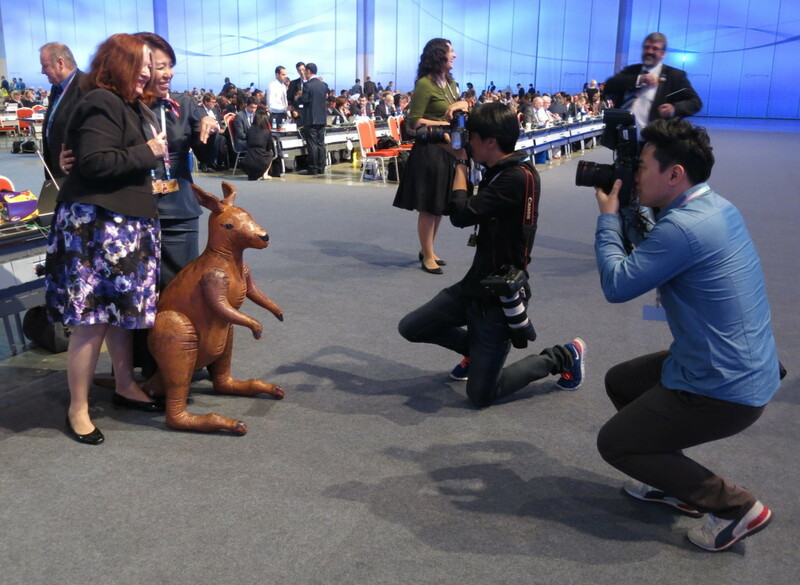 All Australia had to do was blow up a plastic kangaroo and delegates were lining up in the aisles to have their photos taken with the marsupial superstar. 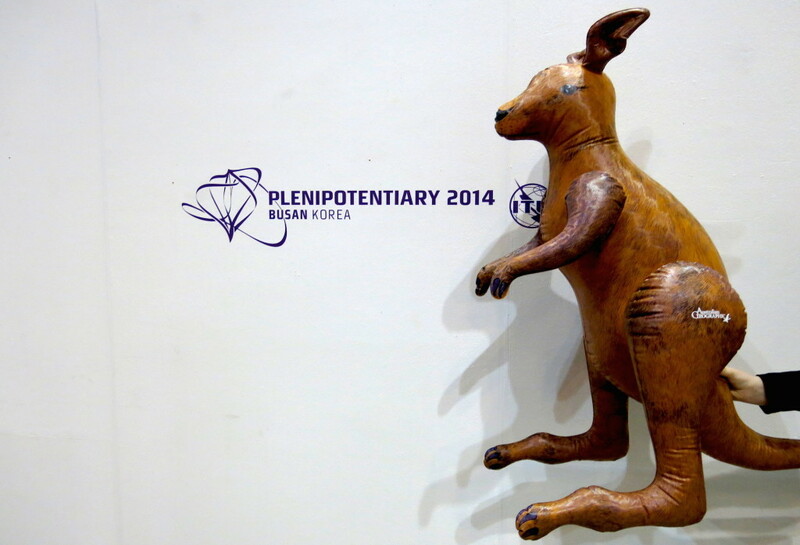 DiploRoo was called on again to help Australia’s cause at Plenipotentiary. If anyone could help Australia be re-elected to Council, DiploRoo could. 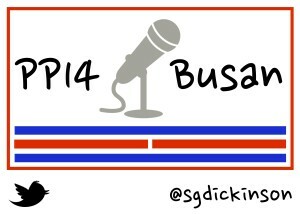 It starts with a bus ride. 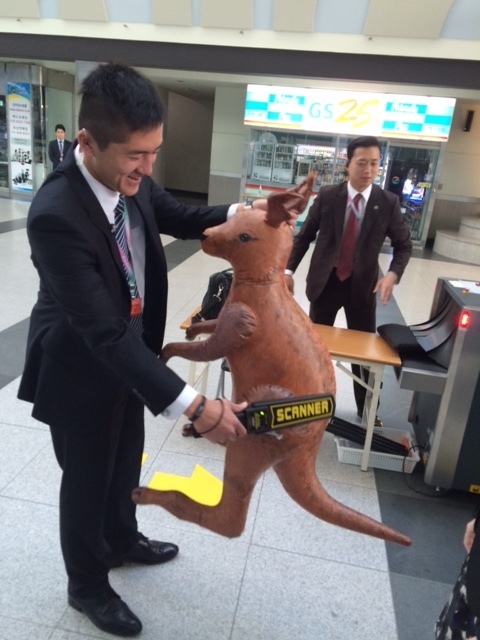 …Followed by a rather too intimate body scan at the security check point at BEXCO. 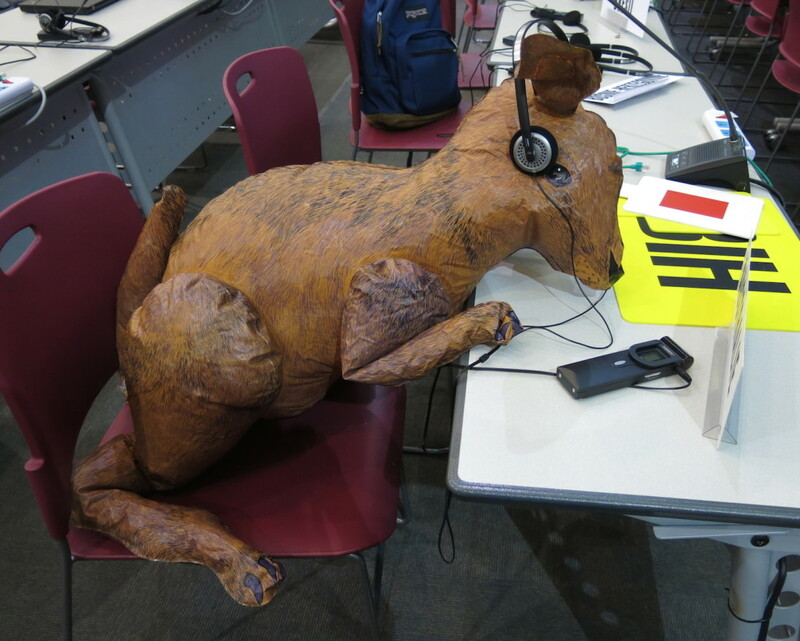 You brainstorm Australia’s last-minute Council election campaign strategy with the humans. 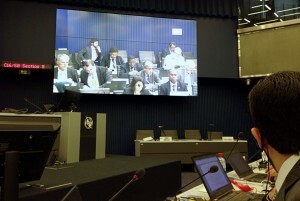 You then listen intently to Channel 1 (English) during Plenary. Everyone wants a photo with you. Even your fans don’t always treat you with the respect you deserve. You get a bit of loving, which makes things better. 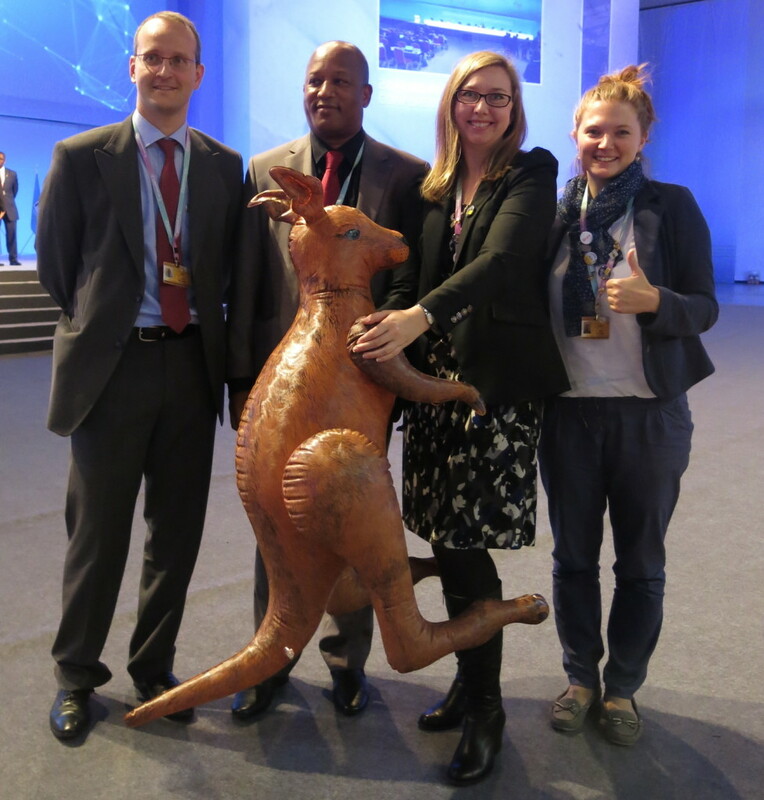 You participate in the official Australian post-Council-win photo shoot. Yet more fans want to meet you. After a long day, you then spent hours debating text in a late-night ad hoc group, which leaves you feeling rather deflated. Will DiploRoo make another appearance? 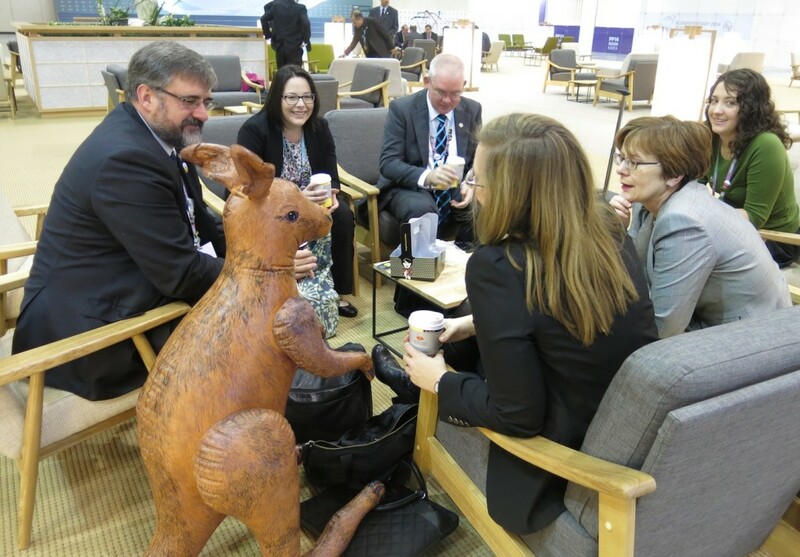 Keep an eye on late night ad hoc group meetings. He may pop in to brighten up his fans’ coffee breaks. 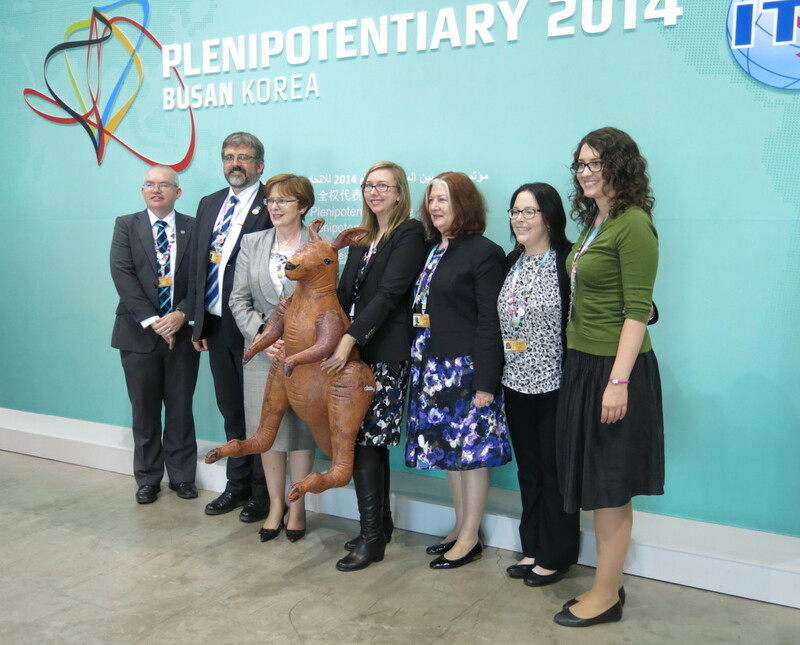 And a big thanks to the Aussie delegation, who provided me with photos 2, 3 and 5. Yes, folks, the most coveted items at PP14 are election badges being distributed by States. 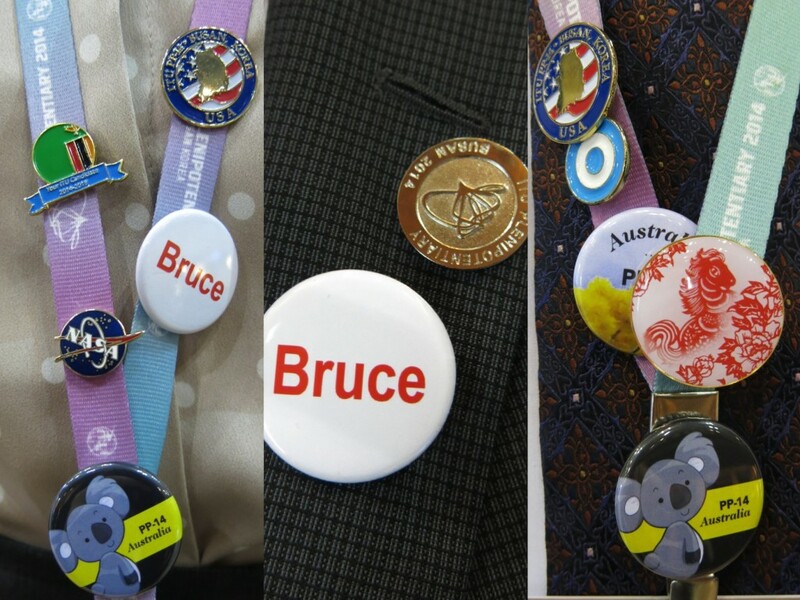 Personally, I’m coveting the “Bruce” badge from Canada. It doesn’t matter whether or not you have any intention of voting for the country whose badge you are wearing/are trying to obtain. What matters is that the badge is cool. 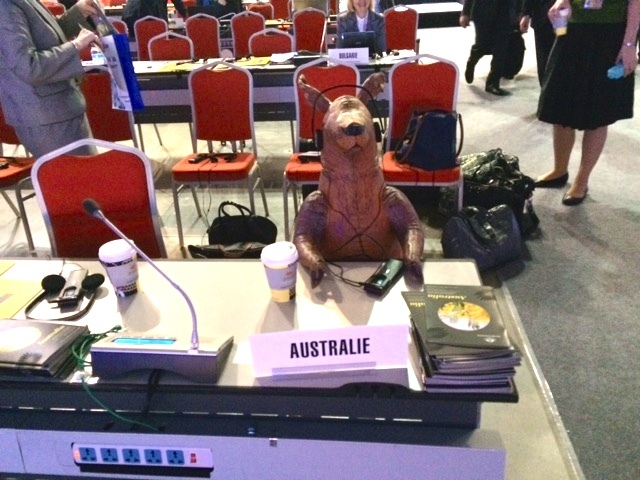 Australia’s koala badge is cool. Australia’s wattle blossom flower badge is not. There are still plenty of Australian wattle badges, if you want an extra badge and aren’t particularly fussy about what’s on it. By “you and me”, I don’t mean the average person on the street, by the way. I’m thinking about the crazy crew of Internet governance folk who attend meetings such as IGF, ICANN and the like. 1. They embrace and kiss each other warmly after not seeing each other for sometimes… whole weeks. Do not laugh, Internet governance people. You are extremely guity of this – moving from this week’s Internet governance-related meeting to next week’s Internet governance meeting and greeting each other like you haven’t seen each other in years. Two kisses, one on either cheek, or the air space next to each cheek, seems to be the norm here. 2. 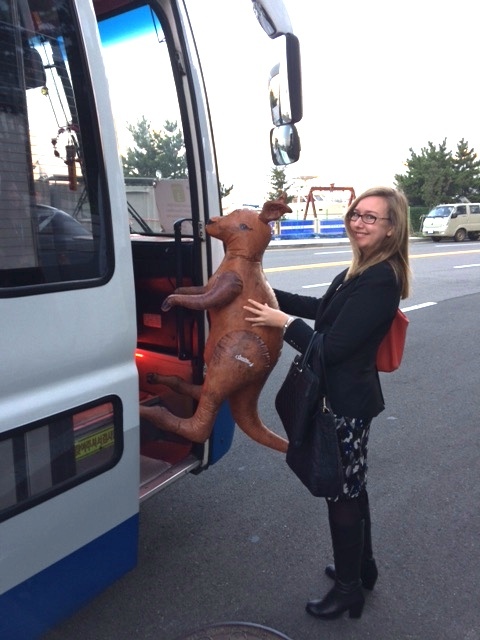 Part of the unofficial greeting protocol is to ask each other when they arrived and where they’re staying. 3. They take group selfies. I haven’t seen anyone take an individual selfie yet. 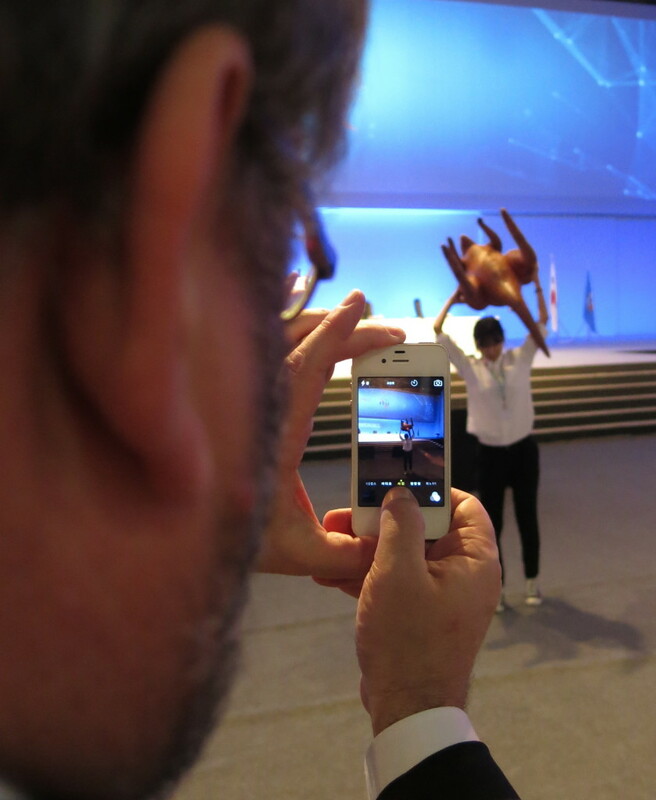 Maybe there’s an unwritten ITU delegate rule that individual selfies are uncool. Group selfies, however, are to be embraced with enthusiasm. 4. They don’t pay attention to the boring bits. Member States all want to have their five minutes in the spotlight with a Policy Statement, but that doesn’t mean they want to pay attention to anyone else’s statement. Instead, have a chat on the side, or come back late from that lovely afternoon tea sponsored by Rwanda. 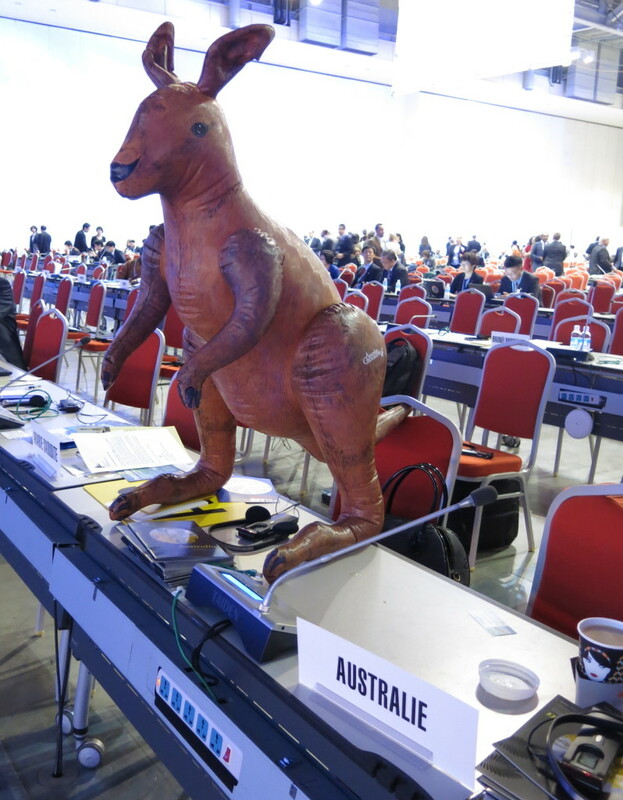 If you take away ITU delegates’ ability to check their Facebook pages, they get cranky. In this case, it was during the Opening Ceremony where South Korea’s President, Park Geun-hye, addressed the participants. She may be president, and therefore need the security of jammed frequencies, but we need to upload grainy smart phone shots of the ceremony to Instagram, dammit! 6. 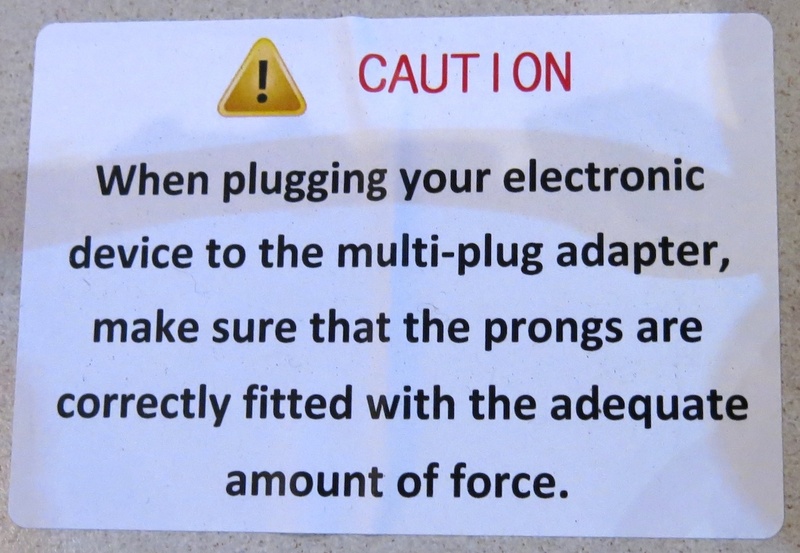 They have trouble with basic tech functions, just like a lot of Internet governance policy folk.